Agreed, this fitness addition to our gym routine will deliver on fat loss, in the most natural way, yet; a plant-source supplement like garcinia cambogia must be understood more holistically, I felt so initially. A quick research on cambogia consumption convinced me further. Garcinia delivers on weight loss and does so in a variety of ways, to help you and me, or anybody on a fitness schedule to shed calories, tone up the waist or lose the abdomen fat, for example. Still sounds the same? Wait, till you get familiar with the science or facts behind the garcinia regard as a diverse weight-loss supplement. So, I begin with the common garcinia perception and its reputation for weight loss. It can host your weight loss goals in many ways. Like cambogia extracts can help you shed calories by letting your body store lesser calories and convert the to-be-stored fat into glycogen or in a useful dose of energy, which can be burnt during the heavy workout training you do every day. How it helps you steer calories to glycogen? Well, cambogia is a fat blocker, courtesy Hydroxycitric acid (HCA), which is an active ingredient present in it. HCA is nothing but a citric acid extract from the citrus fruit- garcinia cambogia. HCA stops or blocks the fat from resting in our body by constraining a metabolic enzyme called citrate lyase. This enzyme converts carbs into fat. So, by stopping the activity of citrate lyase, garcinia cambogia prevents fat accumulation in our body. It blocks our metabolism from slowing. Most of the citrate lyase fat action happens in waist, thighs and hips. Thus, garcinia cambogia interruption in the activity of this enzyme reduces the fat contained in the specific body areas. Now you exactly know why Garcinia Cambogia is one of the best natural weight loss supplements. On one side, cambogia reduces fat in the body. Another health-weight loss combined benefit (of it) is that during this process of blocking fat, the garcinia-effect energises you and reduces fatigue. 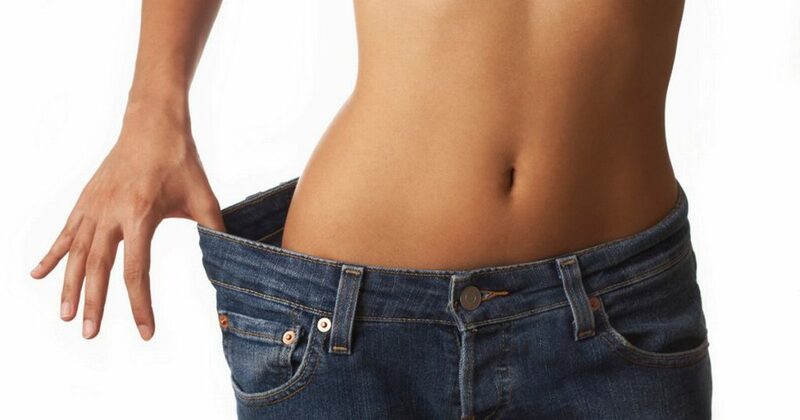 During citrate lyase activation, your body starts feeling lazy as you are gaining fat and reducing metabolism. With garcinia cambogia, the situation is reversed. Going forward in this article, I will list these points separately, since these are cut garcinia aids and are important for people who depend upon the supplements. Garcinia cambogia helps in regulating the blood sugar level. Monitoring of blood sugar level is most likely one of the most important health benefits of garcinia cambogia, especially from a clinical point of view. From the fitness perspective, it stands relevant because it controls a probable situation of sudden drop or spikes in blood sugar while exercising. In short, cambogia keeps the blood glucose levels in check for building muscle tissue, never allowing it to increase or fall beyond control. Glucose is needed to release energy, prevent muscle breakdown and aid muscle recovery. Excess sugar means more fat and less of it, will leave the muscles to suffer. Therefore, garcinia is crucial to developing muscles. Like mentioned earlier, consumption of garcinia cambogia initiates quicker calorie burn. Another garcinia fitness inspiration is that it lowers your cholesterol level. Good metabolism means an increase in energy levels and stamina. In short, you can fast-track your body for weight-loss during bodybuilding. The overall feeling of improved metabolism and less fat store in our body leads to reduced fatigue and no muscle weakness. Usually, while following a weight-loss regime, we tend to feel less energetic. However, garcinia and weight loss together mean an increase in energy levels and more training, therefore. There is no muscle exhaustion, for example, since this supplement improves muscle recovery. Garcinia helps you suppress your appetite. Still, it does not make sense to equate this particular feature (of garcinia supplement) to a weight loss product or drug. Appetite suppression is linked to different stages or levels- of a complete workout schedule. Like, during bulking, one may still need garcinia cambogia supplement to follow the diet schedule and thus, achieve better levels of concentration to follow the worked bodybuilding diet. Likewise, during cutting, it should be obvious for us to refer to (this) garcinia way of weight loss. Don’t think about how it works, for it delivers. How is the next question? Garcinia cambogia suppresses appetite by raising the serotonin levels in the body. Serotonin is a neurotransmitter which regulates appetite and our mood. Increase in serotonin levels may not make us feel like eating more and even suppress our sugar cravings. Improved serotonin levels also reduce depression and anxiety, making us eat less. In short, we are less likely to binge. One of its listed benefits includes immunity boost-up. Upon its consumption, garcinia, reduces your chances of contracting infections, getting ill, or suffering from any seasonal disease. So, in that sense, garcinia cambogia keeps you ready and fit for hard workouts without any unwarranted interruption. The Vitamin C content in garcinia cambogia fruit also shortens the flu or common cold duration. So this herbal supplement helps you look and feel better both. Then, why not include garcinia cambogia as a ready-made solution for everyday workout schedule? To sum up, garcinia fat loss support was overwhelming for me. So, I decided to understand the herbal supplement in greater detail. And, when I did try to find more information on this seemingly wonder supplement, I immediately could relate to its many benefits for bodybuilding. If I have presumed it to be a weight loss product or supplement, I wouldn’t have been too much bothered about having garcinia as an essential part of the workout diet. Only after comprehending the garcinia supplement theory in practice, backed scientifically and holistically, that I decided to conclusively present the facts of garcinia supplement for weight loss to you. Now, you decide you wish to lose weight with the garcinia extracts or add more meaning with it related to your present workout schedule? I will say, substitute it for other weight loss supplements, both deliberately and occasionally and see it for yourself. Share with us, once you start feeling the positive effects. Till then, stay hooked for more information on MFF Blog.